What's YOUR favorite HP book? Which is the favorite book among HP fans? This is a question that most think has an obvious answer (Half-Blood Prince because it is the most recent), when really it isn't. So which is the favorite book among HP fans? Sorcerer's Stone: "I like the first book because it's starts out the whole series and gives you an idea on what the characters are like and who they are" is what one fan said. It seems that this is a favorite since it is the first book. 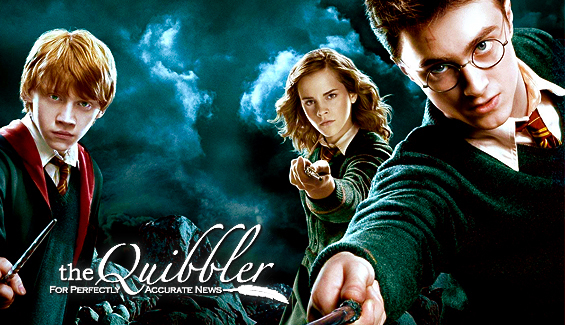 It introduces us to the magic world, Harry Potter, Hogwarts, and more. Chamber of Secrets: "The second book is my favorite because we learn more about the other houses." Although this is true, many feel that this book is another favorite because, "We are introduced more to Ginny and see her interaction with Harry." Prisoner of Azkaban: "I like book three because we meet Sirius and see how he impacts Harry's life." Sirius plays a big role in the later books, so liking it because of Sirius is great. Goblet of Fire: "I like book four because Voldemort comes back." Although no one should love the Dark Lord no one should hate him just because he comes back unless your like one reader who said, " I like book four because Cedric dies and Harry has to deal with more death, trauma, and hatred to Lord Voldemort in his life." Order of Phionex: "I like number five because people see that Lord Voldemort is actually back and that Harry was telling the truth at the end of book four." Many, however feel that they like this book because (as odd as it is) " Harry throws a HUGE tantrum. " Half-Blood Prince: "I like book six because it is the longest" is what one reader had to say. Although that is a great reason shouldn't the book be liked because of what is in it (like the next reader)? "I like book six because it has so much drama and magic." Deathly Hallows: "I know that Deathly Hallows is going to be my favorite because it's the last book." Many people answered like this because they know that JK Rowling will deliver a superb ending. Maybe there isn't one main favorite character. Everyone's character is loved for different reasons. Whatever the answer may be, if anyone wants to know which book is the HP fans' favorite, the answer can simply be, all of them.